William Carey (August 17, 1761 – June 9, 1834) was an English missionary and Baptist minister, known as the "father of modern missions." Carey was one of the founders of the Baptist Missionary Society. His interest in mission was stimulated by reading accounts of the exploration of Captain James Cook. As a missionary in Serampore, India, he translated the Bible into Bengali, Sanskrit, and numerous other languages and dialects. In 1818, he founded Serampore College, which today validates 20 seminaries in India. The Particular Baptist were Calvinists and neglected evangelism on the basis that God would save God's elect without human help. Carey was responsible for introducing among English baptists, in his 1792 tract, An Enquiry into the Obligations of Christians to Use Means for the Conversion of the Heathen, that just as Christ had searched out and preached to the lost, so those who are called to imitate him should do the same. Self taught, his intellectual gifts earned him a professorship at the Government College in Calcutta and a Doctor of Divinity from Brown University. Among Bengali speakers, his is also remembered for the contribution he made to what is referred to as the Bengali renaissance. Among those who assisted in the task of Bible translation was Ram Mohan Roy, who later founded the Hindu reformist movement, the Brahmo Samaj. Roy became an enthusiast for Western science and education combined with Indian traditions, that is, for Western knowledge in Eastern dress, which Carey's Serampore curriculum aimed to offer. His stress on education and on the need to penetrate the culture of the people whom missionaries wanted to persuade to become Christian represented a respect for at least the cultural and literary value of India's heritage, which was uncommon at the time. Carey can be said to have influenced Hindu reform. He was rebuked by the Secretary of the Baptist Missionary Society for wasting his time translating a "piece of lumber," that is, the Ramayana. Disagreement with the home society on how the affairs of the mission in India should be governed resulted in his resignation. He continued to finance his mission from his government salary. Initially, he went to India as an indigo planter because missionaries were not allowed under the charter of the British East India Company until 1813, when the "pious clause" was added, which is why he founded Serampore College in what was then a Danish colony. Carey, the eldest of five children, was born to Edmund and Elizabeth Carey, who were weavers by trade in the village of Paulerspury in Northamptonshire. William was raised in the Church of England; when he was six, his father was appointed the parish clerk and village schoolmaster. As a child, he was naturally inquisitive and keenly interested in the natural sciences, particularly botany. He possessed a natural gift for language, teaching himself Latin. At the age of 14, Carey’s father apprenticed him to a shoemaker in the nearby village of Hackleton. His master, Clarke Nichols, was a churchman like himself, but another apprentice, John Warr, was a Dissenter. Through his influence Carey would eventually leave the Church of England and join with other Dissenters to form a small Congregational church in Hackleton. While apprenticed to Nichols, he also taught himself Greek with the help of a local villager who had a college education. When Nichols died in 1779, Carey went to work for another local shoemaker, Thomas Old; he married Old’s sister-in-law Dorothy Plackett in 1781. Unlike William, Dorothy was illiterate; her signature in the marriage register is a crude cross. William and Dorothy Carey had six children, four sons and two daughters; both girls died in infancy. Olds himself died soon afterward, and Carey took over his business, during which time he taught himself Hebrew, Italian, Dutch, and French, often reading while working on his shoes. Somehow he managed to retain information while working. Carey became involved with a local association of Particular Baptists that had recently formed, where he became acquainted with men such as John Ryland, John Sutcliff, and Andrew Fuller, who would become his close friends in later years. They invited him to preach in their church in the nearby village of Barton every other Sunday. 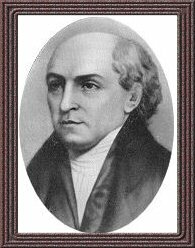 On October 5, 1783, William Carey was baptized by Ryland and committed himself to the Baptist denomination. In 1785, Carey was appointed the schoolmaster for the village of Moulton. He was also invited to pastor the local Baptist church. During this time he read Jonathan Edwards' Account of the Life of the Late Rev. David Brainerd and the journals of the explorer James Cook, and became deeply concerned with propagating the Christian Gospel throughout the world. His friend Andrew Fuller had previously written an influential pamphlet in 1781, titled, The Gospel Worthy of All Acceptation, answering the hyper-Calvinist belief then prevalent in the Baptist churches, that all men were not responsible to believe the Gospel. At a ministers' meeting in 1786, Carey raised the question of whether it was the duty of all Christians to spread the Gospel throughout the world. J.R. Ryland, the father of John Ryland, is said to have retorted: "Young man, sit down; when God pleases to convert the heathen, he will do it without your aid and mine." However, Ryland's son, John Ryland Jr., disputes that his father made this statement. In 1789, Carey became the full-time pastor of a small Baptist church in Leicester. Three years later, in 1792, he published his groundbreaking missionary manifesto, An Enquiry into the Obligations of Christians to use Means for the Conversion of the Heathens. This short book consists of five parts. The first part is a theological justification for missionary activity, arguing that the command of Jesus to make disciples of all the world (Matthew 28:18-20) remains binding on Christians. The second part outlines a history of missionary activity, beginning with the early Church and ending with David Brainerd and John Wesley. Part three comprises 26 pages of tables, listing area, population, and religion statistics for every country in the world. Carey had compiled these figures during his years as a schoolteacher. He estimated that 420 million people were unreached by the Gospel. The fourth part answers objections to sending missionaries, such as difficulty learning the language or danger to life. Finally, the fifth part calls for the formation by the Baptist denomination of a missionary society and describes the practical means by which it could be supported. Carey's seminal pamphlet outlines his basis for missions: Christian obligation, wise use of available resources, and accurate information. The type of modified Calvinism he advocated would later produce the prince of preachers, Charles Haddon Spurgeon who famously prayed that God should call all his elect and then elect some more. Carey later preached a pro-missionary sermon (the so-called Deathless Sermon), using Isaiah 54:2-3 as his text, in which he repeatedly used the epigram which has become his most famous quotation: "Expect great things from God; attempt great things for God." Carey finally overcame the resistance to missionary effort, and the Particular Baptist Society for Propagating the Gospel among the Heathen (now the Baptist Missionary Society) was founded in October 1792, including Carey, Andrew Fuller, John Ryland, and John Sutcliff as charter members. They then concerned themselves with practical matters such as raising funds, as well as deciding where they would direct their efforts. A medical missionary, Dr. John Thomas, had been in Calcutta and was currently in England raising funds; they agreed to support him and that Carey would accompany him to India. Carey, his eldest son Felix, Thomas, and his wife and daughter sailed from London aboard an English ship in April 1793. Dorothy Carey had refused to leave England, being pregnant with their fourth son and having never been more than a few miles from home. En route, they were delayed at the Isle of Wight, at which time the captain of the ship received word that he endangered his command if he conveyed the missionaries to Calcutta, as their unauthorized journey violated the trade monopoly of the British East India Company. He decided to sail without them, and they were delayed until June, when Thomas found a Danish captain willing to offer them passage. In the meantime, Carey's wife, who had by now given birth, agreed to accompany him provided her sister came as well. They landed at Calcutta in November. During the first year in Calcutta, the missionaries sought means to support themselves and a place to establish their mission. They also began to learn the Bengali language to communicate with the natives. A friend of Thomas owned two indigo factories and needed managers, so Carey moved with his family north to Mudnabatty. During the six years that Carey managed the indigo plant, he completed the first revision of his Bengali New Testament and began formulating the principles upon which his missionary community would be formed, including communal living, financial self-reliance, and the training of indigenous ministers. His son Peter died of dysentery, causing Dorothy to suffer a nervous breakdown from which she never recovered. Meanwhile, the missionary society had begun sending more missionaries to India. The first to arrive was John Fountain, who arrived in Mudnabatty and began teaching school. He was followed by William Ward, a printer; Joshua Marshman, a schoolteacher; David Brunsdon, one of Marshman's students; and William Grant, who died three weeks after his arrival. Because the East India Company was still hostile to missionaries, they settled in the Danish colony at Serampore and were joined there by Carey on January 10, 1800. Once settled in Serampore, the mission bought a house large enough to accommodate all of their families and a school, which was to be their principal means of support. Ward set up a print shop with a secondhand press Carey had acquired and began the task of printing the Bible in Bengali. In August 1800, Fountain died of [dysentery]]. By the end of that year, the mission had their first convert, a Hindu named Krishna Pal. They had also earned the goodwill of the local Danish government and Richard Wellesley, then Governor-General of India. The conversion of Hindus to Christianity posed a new question for the missionaries concerning whether it was appropriate for converts to retain their caste. In 1802, the daughter of Krishna Pal, a Sudra, married a Brahmin. This wedding was a public demonstration that the church repudiated the caste distinctions. Brunsdon and Thomas died in 1801. The same year, the Governor-General founded Fort William, a college intended to educate civil servants. He offered Carey the position of professor of Bengali. Carey's colleagues at the college included pundits, whom he could consult to correct his Bengali testament. He also wrote grammars of Bengali and Sanskrit, and began a translation of the Bible into Sanskrit. He also used his influence with the Governor-General to help put a stop to the practices of infant sacrifice and suttee, after consulting with the pundits and determining that they had no basis in the Hindu sacred writings (although the latter would not be abolished until 1829). Dorothy Carey died in 1807. She had long since ceased to be a useful member of the mission, and in fact was actually a hindrance to its work. John Marshman wrote how Carey worked away on his studies and translations, "…while an insane wife, frequently wrought up to a state of most distressing excitement, was in the next room…." Carey re-married a year later to Charlotte Rhumohr, a Danish member of his church who, unlike Dorothy, was his intellectual equal. They were married for 13 years until her death. From the printing press at the mission came translations of the Bible in Bengali, Sanskrit, and other major languages and dialects. Many of these languages had never been printed before; William Ward had to create punches for the type by hand. Carey had begun translating literature and sacred writings from the original Sanskrit into English to make them accessible to his own countryman. On March 11, 1812, a fire in the print shop caused £10,000 in damages and lost work. Amongst the losses were many irreplaceable manuscripts, including much of Carey's translation of Sanskrit literature and a polyglot dictionary of Sanskrit and related languages, which would have been a seminal philological work had it been completed. However, the press itself and the punches were saved, and the mission was able to continue printing in six months. In Carey's lifetime, the mission printed and distributed the Bible in whole or part in 44 languages and dialects. Also, in 1812, Adoniram Judson an American Congregational missionary en route to India studied the scriptures on baptism in preparation for a meeting with Carey. His studies led him to become a Baptist. Carey's urging of American Baptists to take over support for Judson's mission, led to the foundation, in 1814, of the first American Baptist Mission board, the General Misssionary Convention of the Baptist Denomination in the United States of America for Foreign Missions, later commonly known as the Triennial Convention. Most American Baptist denominations of today are directly or indirectly descended from this convention. In 1818, the mission founded Serampore College to train indigenous ministers for the growing church and to provide education in the arts and sciences to anyone regardless of caste or country. The King of Denmark granted a royal charter in 1827 that made the college a degree-granting institution, the first in Asia. Much of the construction was paid for from Carey's own salary as a professor at Fort William College. The curriculum offered Arabic, Persian, Bengalia, the Biblical languages, a range of Indian languages, Muslims and Hindu jurisprudence, Greek, Latin, classics, the "law of nations," ethics, the natural sciences, history, and also European languages. The College's Senate, established by an Act of the Legislature of Bengal, in 1918, is still the main validating body for theology degrees in India, accrediting twenty other seminaries and theological school. Carey's second wife, Charlotte, died in 1821, followed by his eldest son Felix. In 1823, he married a third time, to a widow named Grace Hughes. Internal dissent and resentment was growing within the Missionary Society as its numbers grew, the older missionaries died, and they were replaced by less experienced men. Some new missionaries arrived who were not willing to live in the communal fashion that had developed, one going so far as to demand "a separate house, stable and servants." Unused to the rigorous work ethic of Carey, Ward, and Marshman, the new missionaries thought their seniors—particularly Marshman—to be somewhat dictatorial, assigning them work not to their liking. Andrew Fuller, who had been secretary of the Society in England, had died in 1815, and his successor, John Dyer, was a bureaucrat who attempted to reorganize the Society along business lines and manage every detail of the Serampore mission from England. Their differences proved to be irreconcilable, and Carey formally severed ties with the missionary society he had founded, leaving the mission property and moving onto the college grounds. He lived a quiet life until his death in 1834, revising his Bengali Bible, preaching, and teaching students. His bengali Bible is considered a classic in the language. Hymns that he translated or wrote remain poular within the Bengali speaking Christian community. Carey developed a deep respect for Indian languages and culture, even if he believed that India's religious heritage was spiritually bankrupt and that only faith in Christ could redeem peopke from sin. In his Enquiry, he said that as "barabarous" as "heathens are," they were yet capable of "knowledge as we are" and sometimes exhibited "uncommon genius" Also, he suggested, "barbarities practiced by them" are probably in response to "some real or supposed affront" and thus represent "acts of self-defence" rather than proof of "inhuman and blood-thirsty disposition." His work on translating not only Christian literature into Indian languages but Hindu scriptures into English enabled later missionaries to go further than he did in recognizing value and the presence of divine revelation in religions other than the Christian. His approach to reforming the social order has since been associated with an understanding of Christian mission that is less concerned with numerical growth than with spreading ideas of human dignity, rights and of the equality of all people. Carey believed that God would establish his kingdom on earth, and that the first signs of this would appear in the social and political arenas. Joshua Marshman was appalled by the neglect with which Carey looked after his four boys when he first met them in 1800. Aged 4, 7, 12, and 15, they were unmannered, undisciplined, and even uneducated. Carey had not spoiled, but rather simply ignored them. Hannah Marshman wrote, "The good man saw and lamented the evil but was too mild to apply an effectual remedy." However, Hannah and her husband along with their friend the printer William Ward, took the boys in tow. Together they shaped the boys as Carey pampered his botanical specimens, performed his many missionary tasks, and journeyed into Calcutta to teach a Fort William College. They offered the boys structure, instruction, and companionship. To their credit—and little to Carey's—all four boys went on to other careers. 1807 Doctor of Divinity conferred by Brown University of U.S.
William Carey remains a figure of interest in the history of mission, and an inspiration to baptists, especially to those who serve in oveseas missions. His contribution to the Bengali renaissance means that his legacy is valued within the wider cultural context of the Bengali-speaking region of North East India and Bangladesh, as well as by baptists worldwide. Carey is also regarded as a pioneer of the ecumenical movement for greater Christian unity. In 1806, in a letter to the Baptist Missionary Society, Carey proposed that a World Missionary Conference should be held at the Cape of Good Hope in 1810. This would address the problems created by churches competing with each other as well as the perception among indigenous people that there are many Christs, not one, that is, a Baptist Christ, a Methodist Christ. This "pleasing dream" took a hundred years to become a reality. In 1910, the Protestant missionary societies finally met at Edinburgh, Scotland in the first International Missionary Conference. This was one of the events that contributed towards the formation, in 1948, of the World Council of Churches. Carey's relationship with Ram Mohan Roy impacted on Hindu reform, especially on the development of Hinduism as a universal philosophy and as a path to fellowship with the divine for all people, regardless of race, caste or class. Roy was insistent that Hindus worship one God, opposed the caste system and championed women's rights. Roy's 1820 book, The Precepts of Jesus, stripped miracles from the gospel stories and rejected the Trinity in favor of divine Unity, presenting Jesus as a great moral teacher of universal truth. Roy saw all people as equal before God. Subsequently, William Adams, a member of Carey's mission, became a Unitarian, establishing the Unitarian mission in Calcutta. Roy toyed with the idea of affiliating his movement with the Unitarians, and died while visiting Unitarians in Britain. He was the first Brahman to travel there. The Brahmo Samaj later joined the International Association for Religious Freedom, which is mainly Unitarian. William Carey University, with its main campus in Hattiesburg, Mississippi. was named William Carey College in honor of Carey in missions, in 1954, when the school became coeducational. The College was previously called the Mississippi Woman's College, founded in 1906. In its centennial year, 2006, the College achieved University status. ↑ P. Sam Daniel, William Carey's Contribution to Indian Languages. Retrieved July 8, 2007. ↑ George Smith, The Life of William Carey. Retrieved July 8, 2007. ↑ William Carey University, Hattiesburg, Mississippi, Serampore College. Retrieved July 8, 2007. ↑ Carey University, An Enquiry. Retrieved July 8, 2007. ↑ Contra Mundum, William Carey, Postmillennialism and the Theology of World Missions. Retrieved July 8, 2007. ↑ William Carey University, William Carey: Biographical Studies. Retrieved July 8, 2007. ↑ T.V. Philip, Edinburgh to Salvador: Twentieth Century Ecumenical Missiology. Retrieved July 8, 2007. Carey, William. An Enquiry into the Obligations of Christians to Use Means for the Conversion of the Heathens. Leicester: A. Ireland, 1791. ISBN 978-1406512700. Mangalwadi, Vishal, and Ruth Mangalwadi. The Legacy of William Carey: A Model for the Transformation of a Culture. Wheaton, Ill: Crossway Books, 1999. ISBN 9781581341126. Marshman, Joshua Clark. Life and Times of Carey, Marshman and Ward Embracing the History of the Serampore Mission. London: Longman, 1859. Miller, Basil. William Carey The Father of Modern Missions. Minneapolis: Bethany Fellowship, 1980. ISBN 9780871238504. Rouse, Ruth. "William Carey's 'Pleasing Dream,'" International Review of Missions (April 1949): 181-92. Smith, George. The Life of William Carey: Shoemaker and Missionary. London: Murray, 1887. ISBN 978-1847024855. Webber, Daniel. William Carey, and Andrew Fuller. William Carey and the Missionary Vision. Edinburgh, UK: Bannr of Truth Trust, 2005. ISBN 9780851519210. All links retrieved April 9, 2013. BMS World Mission (formerly the Baptist Missionary Society) Official website of the Missionary Society Carey founded. Center for the study of the life and work of William Carey, USAincludes Works by and about Carey. Friends of Serampore UK support group for College founded by Carey. This page was last modified on 9 April 2013, at 15:59.